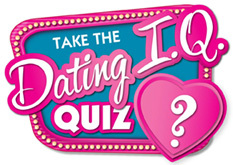 Single, over 50, and wanting to know how to attract men? You’re not alone! That’s a question women ask me all the time and to tell the truth, they ask it at every age, not just over 50. Let me share simple tips that will change your love life fast. This is one of the most frequently asked questions that comes across my desk as a dating coach. 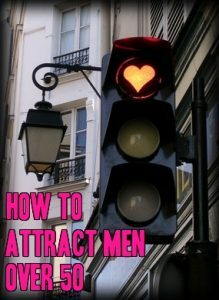 Women want to know where to go to meet men and how to attract men when they find them. It’s an age old query single gals have been asking for centuries. There are as many methods and suggestions to attract men as there probably are single men! And everyone has an opinion. 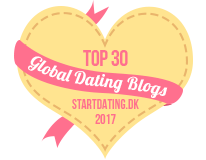 In this post, I’m going to share my own proven tactics to help you meet more men and find the love you want. First, let me explain the difference between how to attract men versus how to find men. This is not the same objective by any means. To attract men is to draw them to you, energetically and in a crowd. Both require relying on your feminine energy and allure. Men are naturally attracted to your feminine charm to balance their own masculine energy. If you are a successful career woman, you have learned to build and leverage your own masculine energy but this is of no use for attracting a man. In fact, it can be a big deterrent. Do you need to dumb down or hide your success? Nope, but you can’t lead with it either. Learn how to soften up that tough exterior and increase your femininity to attract a man. men compete with both genders at work, but for romance, they don’t want more of the same. Competition kills any chance you have when you try to compete with a man and hope for his affection. How Do You Heighten Your Feminine Energy? It’s actually quite simple. Wear beautiful clothes that enhance your looks. Get a great haircut and wear at least minimal makeup – mascara, blush and lip gloss. Take good care of yourself because a pampered woman values herself, is happier, and is more confident. Now when you meet a man and act like your smart, sassy self, that blends beautifully with your feminine allure. Men are drawn to women who are confident, smart, and put together, so you need more than looks to attract a man, especially for a lasting relationship. You may be tempted to use your business skills when interacting with men, speaking directly and thinking that is the best way to act. But that’s where your instincts fail you. Let me give you a few examples. He only calls you last minute for a date. He asks about your ex on the first call or date. He texts too frequently and you want to talk to him. The strategy is about softness, and when possible, starting with praise about what you do like. This makes you sound less demanding and lets a man know how to please you if he feels inclined. Can you see how much more appealing this is for a man who wants to feel like he is in charge? Do You Think This Is Game Playing? Some women will tell me this is some stupid game and they don’t want to play. Really? All of life is a game too. If you don’t want to play and learn the rules, how can you expect to win? They game exists whether you like it or not. I say be prepared and learn how it works! If you want to get along well with men romantically, remember they are not your girlfriends and they never will be. Men think and are motivated differently than women are. When you appeal to their nature, they are drawn in by your feminine charm. It makes them feel good to follow your softer suggestion. This is how to get what you want, from more attention, to spending more time together, etc. See, you are still in charge, just not hitting the guy over the head with a hammer using your direct communication style that works much better in the business world. Whether you are trying to get male attention on dating sites, by texting him, or in person, it’s the softer, more feminine charm that draws a man to you like a moth to a flame. They get intrigued if you are a little mysterious rather than spilling your whole life story in one hour. They want to know what makes you tick, if you create the space for his curiosity to build. There are a lot of women out there, and of course, I want you to be yourself with one caveat – be your VERY BEST SELF. That means learning how to appeal to men in their language. Once you catch on, even a little, you will see the huge advantages. Use what you’ve got to get what you want girlfriend. I have an MBA. I had a great career in business when I was dating and met the man who became my husband. I learned how to do this to find the love I wanted. This IS how to attract men over 50 or any age, and what has been working for thousands of years, so the sooner you stop resisting the idea, the sooner you’ll get what you want.